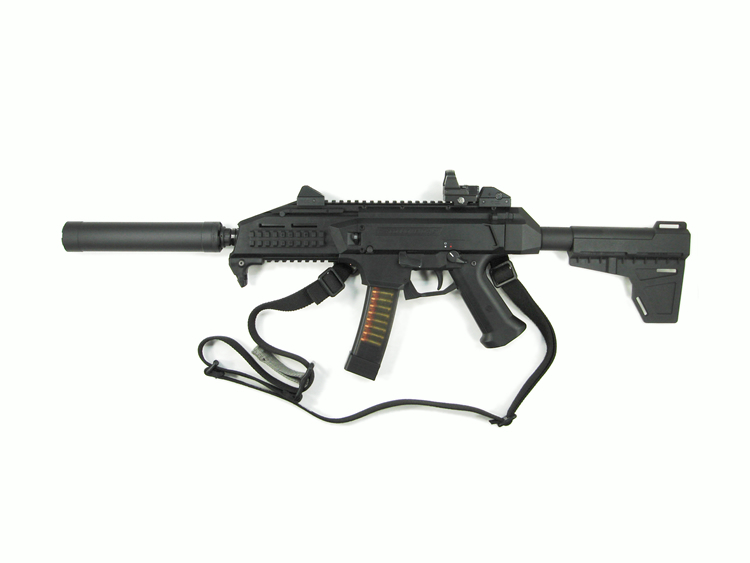 American Clandestine Equipment SMG9-SC Suppressor for CZ Scorpion. 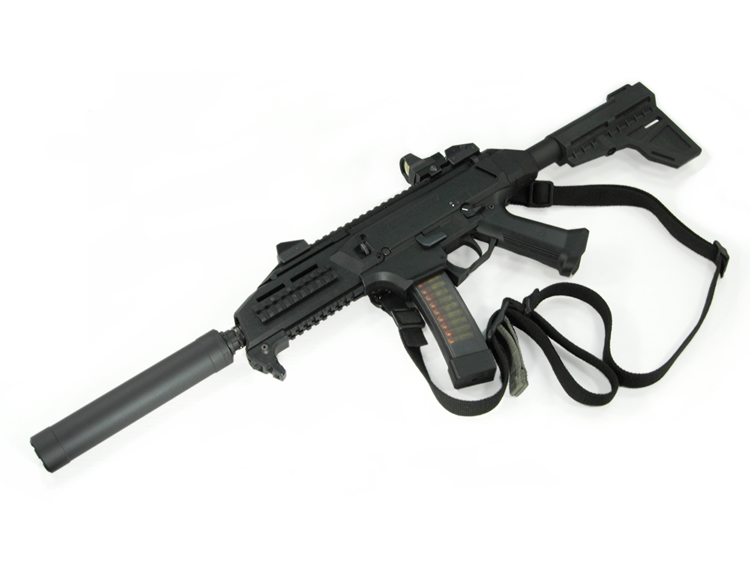 The American Clandestine Equipment SMG9-SC is a high performance, light weight, large internal volume suppressor that is optimized for use with the CZ Scorpion Evo 3 S1/A1. The SMG9-SC is precision CNC machined from fine quality materials with attention to detail craftsmanship and exacting quality controls. Quality construction combined with smart design features and outstanding sound level reduction results in a next level performing suppressor. 12 clipped ported baffle cones and large internal volume provides a measured sound level reduction of 32.5dB, bottoming out on the Scorpion's chamber and action noise. 147grain 9mm ammunition with a muzzle velocity of 1025 feet per second ( 343 ft-lbs energy ) fired through an SMG9-SC equipped Scorpion meters at 117dB in the MIL-STD-1474D test and 127dB at the shooters ear. 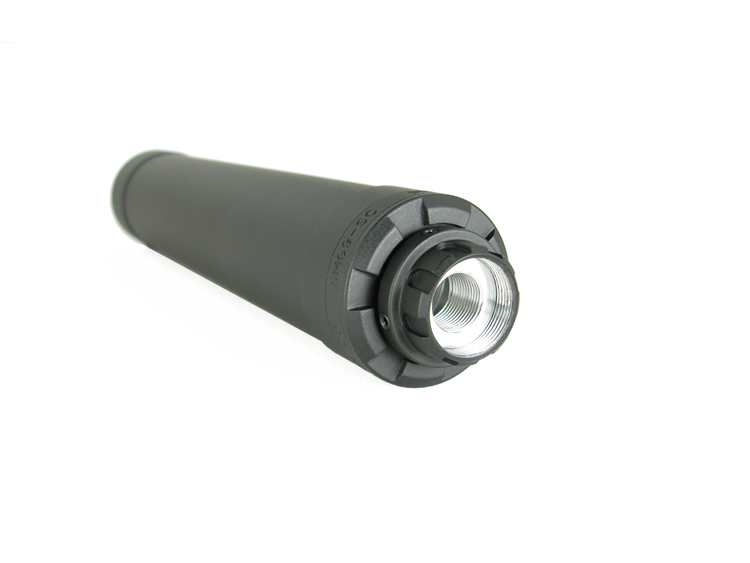 The baffle design also minimizes zero point shift to less than 2 MOA and first round pop is completely eliminated. Careful use of materials minimizes the weight while maintaining strength and durability. At 10.75 ounces the SMG9-SC is full auto rated to 90 rounds and 9mm+P capable. An adjustable 1/2-28 threaded mount made specifically for the Scorpion utilizes the stock compensator catch providing a rigid mount that prevents loosening of the suppressor during movement or when firing. The mount indexes to exactly the same position each time it is installed. Once the sights are zeroed in with the suppressor installed, it can be removed and installed without subsequent adjustment of the sights for zero point shift. The mount cap is adjusted to fit the Scorpion the first time it is installed, after initial adjustment removal and installation of the suppressor is tool free. The serialized ring component is separate from the main tube and it is the only component that can not be replaced. Every other component including the main tube and baffles may be replaced if necessary. 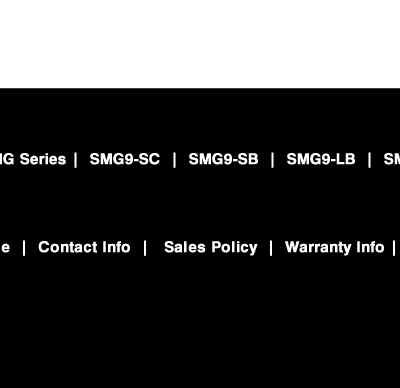 The SMG9-SC is fully user serviceable and is easily maintained. Combustion gasses are contained inside the baffle cones preventing build up from seizing the baffles in the main tube. The end caps have lugs that key to an optional matching service tool. The lugs are large enough to support the torque required to remove a stuck cap without damaging it. The unique blast chamber design and second optional service tool makes removal of the baffle stack for cleaning easy. The service tools are made of Delrin, a high strength engineering plastic that is tough and durable but will not scratch finely machined surfaces or chip the finish. The SMG9-SC may be adapted for use on other hosts with the addition of optional mounting caps such as our 3-lug and 5/8-24 threaded mounts. Other variants in the SMG series for other hosts will be available soon. 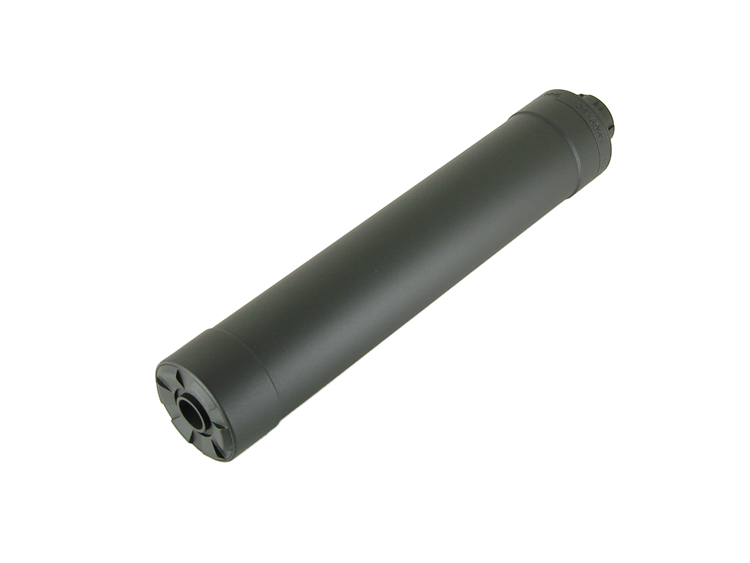 American Clandestine Equipment suppressors are 100% Made in USA from materials that are also Made in USA. Threaded mount: 1/2-28 (2016 and later Scorpion EVO 3 (Gen. 2). Tested on a stock Scorpion with a calibrated Bruel & Kjaer 2209 per MIL-STD-1474D. Approximately 3000 rounds fired through the test suppressor, never cleaned, bone dry. Test ammunition: 147gr. 9mm at 1025 f.p.s muzzle velocity. 343 ft-lbs energy at muzzle. 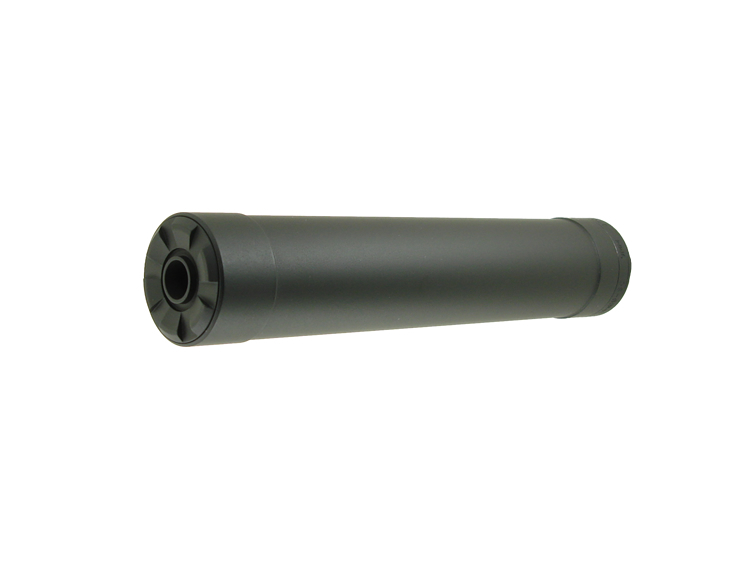 SMG9-SC Suppressor, $880 including shipping. 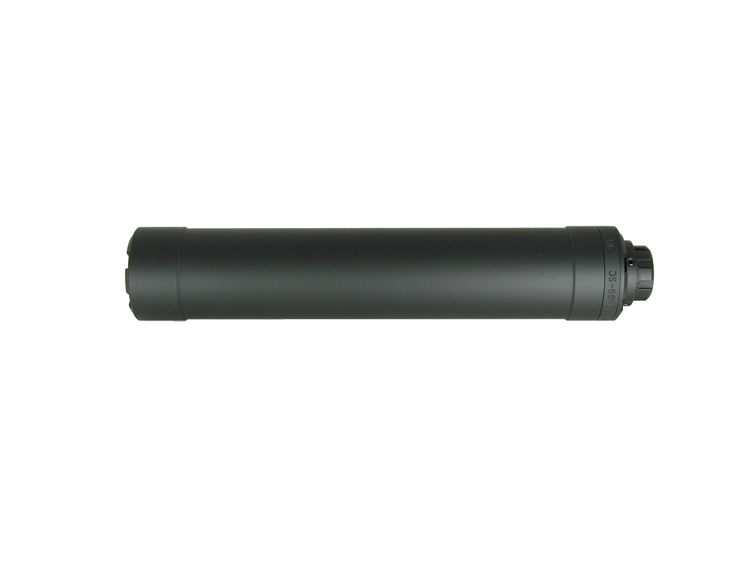 Order the suppressor below with Check or Money Order using the mail-in form link. or with the mail-in form.